Reports have surfaced of a 29-year-old British SAS sergeant’s fight against fleeing Taliban terrorists in an underground cave complex in Afghanistan in January. The Daily Star Sunday reported that the soldier from central England managed to shoot three terrorists and kill another three with a claw hammer while in near complete darkness in a series of underground tunnels less than 2 feet wide and 4 feet high. The soldier was part of a joint British and Afghan special forces operation launched against a Taliban base in northern Afghanistan, the Daily Star reported. 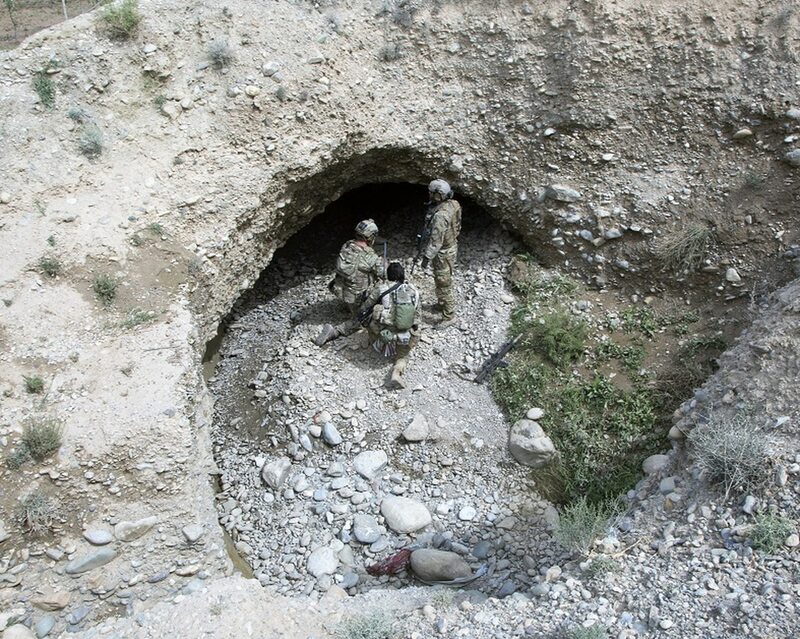 The commandos involved in the operation successfully destroyed the base, but several Taliban, including a high-value senior commander, were able to flee into an underground cave complex. When no Afghan commandos volunteered to enter the tunnels, the SAS soldier took it upon himself to complete the mission. The soldier managed to crawl into the narrow tunnel, but with no room for a long-barreled weapon, took only his Glock 9mm pistol. For 30 minutes, he relied on sound, smell and touch to track and kill six terrorists in the pitch-black, suffocating environment. The soldier used his Glock to kill the first three Taliban he encountered, but when he went to shoot the fourth, his pistol jammed, according to the Daily Star report. Using a claw hammer, the soldier successfully fought and killed the remaining three militants before emerging from the tunnels soaked in blood. The soldier, an Iraq veteran, called the 30-minute fight the most difficult of his military career. For at least an hour after returning above ground, the solider was unable to speak due to his level of distress.